KAMPALA – The National Water and Sewerage Corporation has completed an intervention aimed at boosting water supply in the Eastern part of Kampala. The areas to benefit from the intervention include; Kyanja, Gayaza, Kungu, Naguru, Buwate, Najjera, Mpererwe, Namere, Komamboga, Masooli, Kasangati, Nangabo, Gayaza, Manyangwa and the surrounding areas. Kampala Water Supply Senior Manager Eng Moses Bigabwa said that customers in the areas mentioned above have been experiencing water supply challenges. 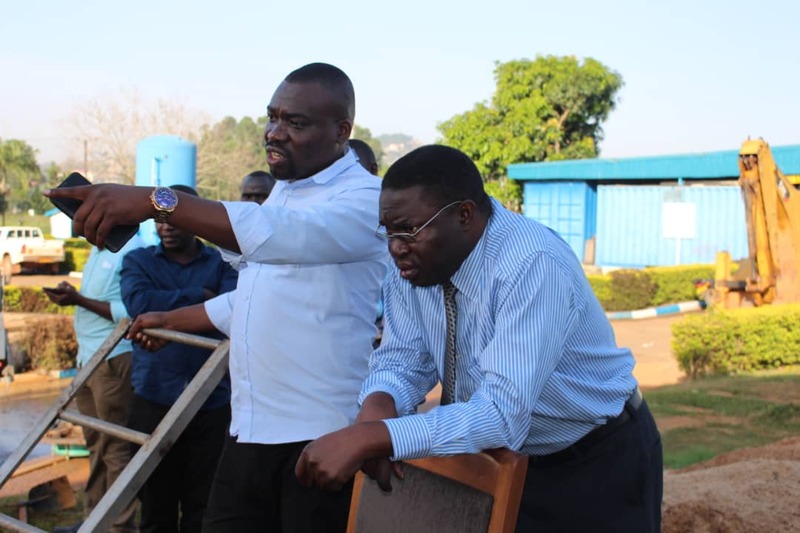 “Recently, we installed a pump house at Centenary park to boost water levels in our reservoir on top of Naguru hill and efficiently serve the Naguru service area and address the water supply concerns. 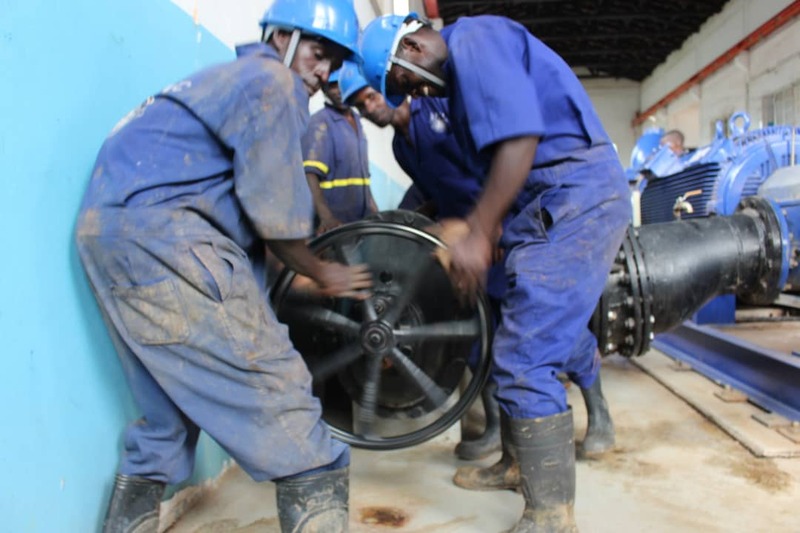 Eng Bigabwa adds that the intervention which involved reconfiguring the pipe network in Busabala, Masajja, Salaama, Munyonyo, Cape Road, Kabalagala, Makindye, Nsambya, Kansanga and the surrounding areas added more water to the new booster stations at Kanyanya, Mpererwe and Centenary Park. “The new booster stations will now run at full capacity addressing the supply challenges in Kampala Water Eastern zone water supply network. Laying of 16 km distribution mains from Kabulengwa Tank to Kakiri trading centre. Laying 10 km pumping main from Bulenga booster to Kabulengwa Hill. Laying 2 km pumping main from Kagoma to Matugga water tank. Laying 2 km transmission main from Kinawa trading center to Nakawuka. Laying 6 km of transmission mains from Kisaasi to Kungu, Replacement of a section of 1.5km from Kyadondo Rugby Club to Moil Banda. Laying of 3 km transmission main from Bulenga booster to Nakabugo tank among others.” he shared. Kampala Water General Manager Eng Andrew Sekayizzi said that the corporation is installing over 1000 public water points to improve access to safe clean water in various communities in the city. 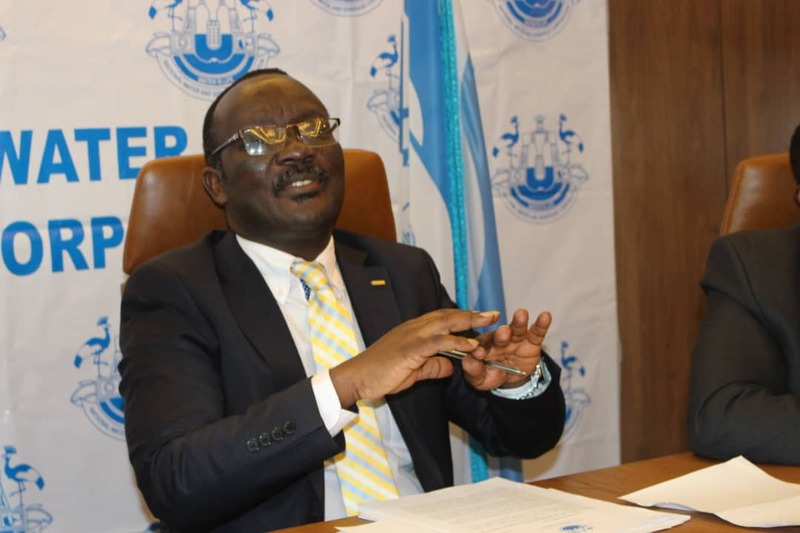 NWSC MD Dr.Eng Silver Mugisha assured the city dwellers that the corporation is working on a number of water stabilization projects to stabilize water supply in the city. 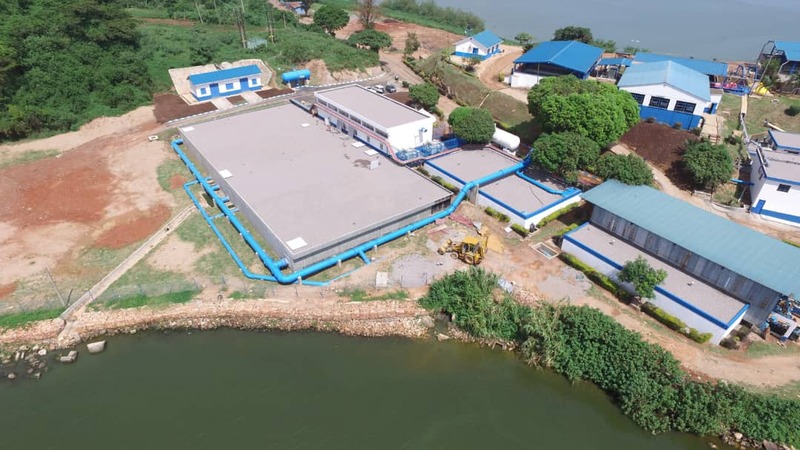 NWSC has also started works on the new 240 million litres per day design Capacity Water Treatment Plant in the Eastern part of Kampala at Katosi. The combined water production of Katosi and Ggaba Water Treatment Plants will cater to the growing demand for clean water services in the greater Kampala Metropolitan Area up to the year 2040. Dr Silver noted that such projects are also being implemented in other towns, notably; a new Water Works at Karuma and a new 70 km bulk transmission main from Karuma to improve water supply in Gulu town, water supply stabilization plans in Kapchorwa, Sembabule, Masindi, Arua, Isingiro, Rakai, Bushenyi, Fort Portal, Moyo, Kotido, and Kaboong, among others. Dr Silver added that NWSC working with the Government of Uganda and the Ministry of water and Environment rolled out a new programme SCAP 100. (Service Coverage Acceleration Programme) to extend water services to over 12,000 villages in Uganda. In addition, 140,000 new water connections, 20,000 public standpipes and over 8,000 km of water mains extensions will be installed by 2020 under the SCAP 100 programme. “Our commitment towards excellent service delivery in all our areas of operation across the country is total,” Dr Silver said.